In 2001 Hoffmann-La Roche's drug Accutane was selling in the billions worldwide as a treatment for acne. For those who suffered from extreme, scarring acne, it was something of a miraculous treatment; however evidence started to mount that for others it was a death sentence. Over the next few years, it was estimated that between 300 and 3,000 young people being prescribed Accutane since its launch had committed suicide. Dr. Doug Bremner, a professor of psychiatry and radiology at Emory University, found that the drug did have an effect on the brain likely to cause acute depression in some patients, which was not surprising as it is a molecular cousin of Vitamin A, which is known to cause depression in excessive quantities. One might think the drug company would have welcomed these findings. You might like to think again on that one. 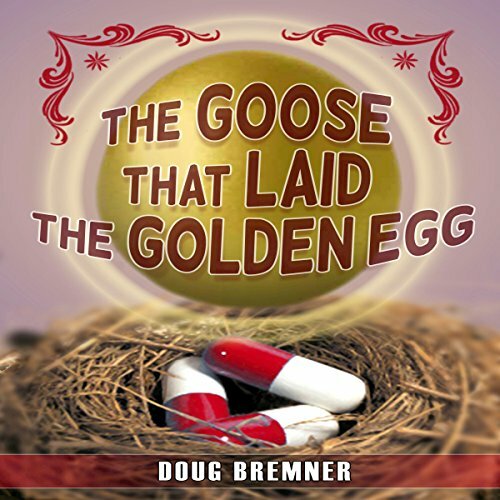 The Goose That Laid The Golden Egg is the account of what Hoffmann-La Roche did next, which was to prosecute a determined, energetic, and vindictive campaign against Dr. Bremner, designed to suppress his findings and destroy his career and livelihood. Knowing that the life of a whistleblower is rarely a happy one, why did Dr. Bremner decide to take anything that Hoffman-La Roche could throw at him rather than back down?